Links to other online stores where the Illustrated Chapter Book (Color Version) in soft cover, hard back and epub may be purchased are below. The Blue Unicorn's Journey To Osm Illustrated book was a feast for the eyes but the story was short. This novel is the expanded version of that story. Note: Why so many versions of this story? There is a version of The Blue Unicorn’s Journey To Osm to suit just about any reading level and pocket book. 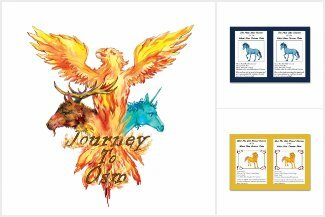 There is a coloring/character description book for the Blue Unicorn's Journey To Osm story. Buy it first to learn about Blue, his Tribe of Metal Horned Unicorns and other characters in the book as you color each one of their portraits. There is also a fully illustrated chapter book that can be purchased with either Full Color Illustrations or with Black and White Illustrations. The B&W book can be used as a ‘read and color’ book. Read a chapter, then color the fanciful picture after the text. And this novel is the expanded and enhanced version of illustrated story. 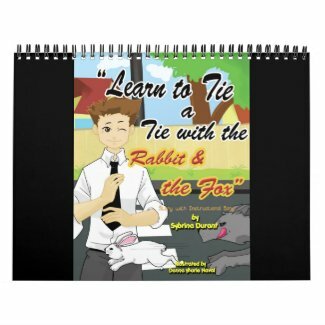 The reason for the black and white versions of the books as well as the text only version of the novel is because full color illustrations increase the cost of a book exponentially and I wanted to offer a version for every budget. Black and White illustrations are less than 1/2 the cost of color illustrations. Having no illustrations at all, halves the cost again. And speaking of no illustrations, the illustrated version of the story is also available as an audio book, enthusiastically narrated by Troy Hudson. It can be purchased at Amazon, Audible and Itunes. To get the most out of it, though, buy a printed book to read along as you listen. Print books available from most brick and mortar bookstores (upon request) and all versions of the book are available at most online book stores (immediately). Don’t forget to ask you local librarian to shelve the books so that you and others can read them for free. If you like my stories, please request the books in libraries, schools and book stores in your neighborhood. Most libraries have online book request forms now, so it’s easy to make a request. Finally, please don't forget to let potential readers know how much you enjoyed the artwork by DasguptArts and the narration of the audio book by Troy Hudson. How about Librarything? Or BookLikes? If so, look me up and friend me on any of them. If not, check them out! You will be amazed at all of the reading groups, looking for your input about different types of books. Click on the book cover Here to read a sample of The Journey To Osm The Blue Unicorn’s Tale. Soft Cover ISBN# 978-1535455992. Your vote can help others find out about this book. Thank you for your support.